The Best Homemade Pennywise 2017 Costume EVER! Even Tom Hanks knows it’s time to retire the David S. Pumpkins costume. But what’s the nicest guy in Hollywood supposed to wear for a Halloween costume instead? Never Fear. We’ll be Tom’s bosom buddy and guide him through some of his movie character costumes. While his list of movie roles is longer than a terminal walk around an airport, we’ve selected the best 7 DIY costumes for him here. In addition, if you ever find yourself at a Tom Hanks themed costume party, here are some awesome costume ideas for you! If Tom celebrates Halloween in a warm climate, this is an easy costume to pull off. 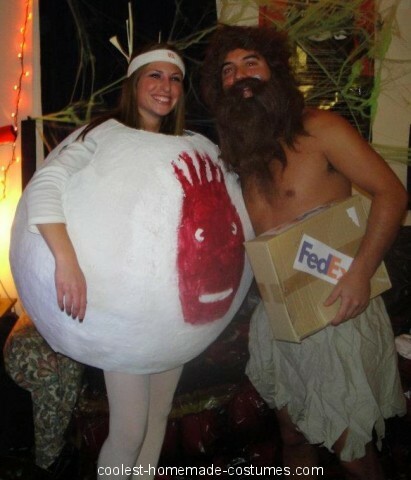 A simple wig and fedex box is all John needed for this Castaway couple costume. As a bonus, Rita Wilson can dress up as the real Wilson – it’s almost too perfect. We were right there with Josh Baskin wanting to be Big. 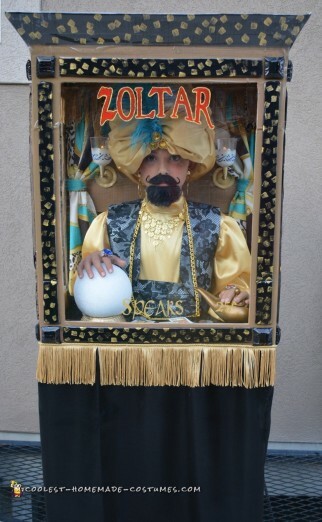 Check out the details on this amazingly realistic Zoltar costume. Perhaps the greatest lesson learned from Tom Hanks is that there is absolutely no crying in baseball! 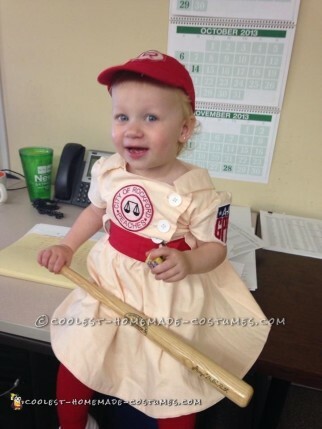 Check out the most adorable homemade costume from A League of Their Own. 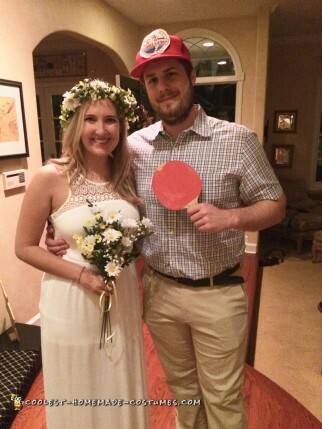 Warning: this homemade couple costume may cause a hankering for Bubba Gump shrimp. If Tom enjoys people shouting “Run, Forrest, Run!” at him, he should definitely make this DIY costume. Tom can help make Splash popular again by dressing up as the fabulous Darryl Hannah. 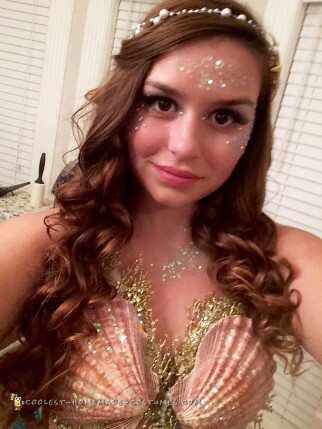 Take a look at this beautiful mermaid costume for Madison inspiration. For those of you who haven’t seen Splash, go watch it now! Please. 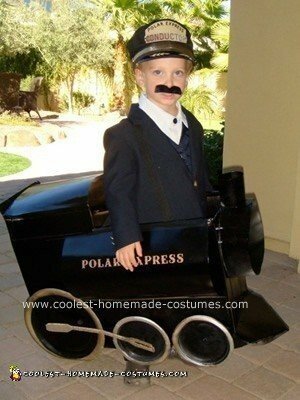 Take a magical ride on the Polar Express by dressing as both the conductor and the train. Learn how Cheryl made her son his beloved DIY costume here. 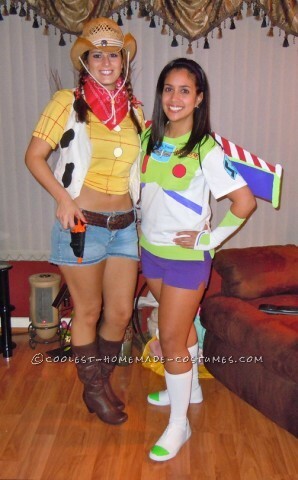 Without a doubt Tom can find a pal to pair up with for this super cute Woody and Buzz couple costume. 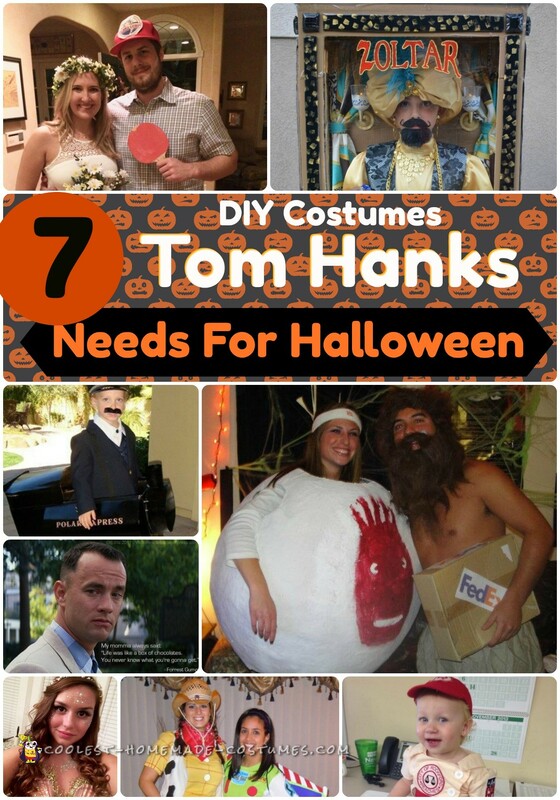 So, no matter which DIY costume Tom Hanks chooses, he’ll always have a friend in us. Tom, thanks for making movies that live so close to our hearts.